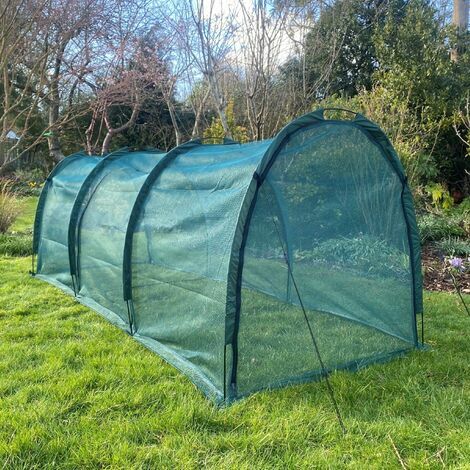 High quality advanced crop protection for serious gardeners. Heavy duty 4mm PP netting and carbon fibre rods are threaded through sewn material loops ensure a much stronger structure than conventional hoop and wire tunnels, and one that is also less prone to distorting. Can be assembled in minutes with no tools needed. Large side doors offer easy access to your fruit & veg.